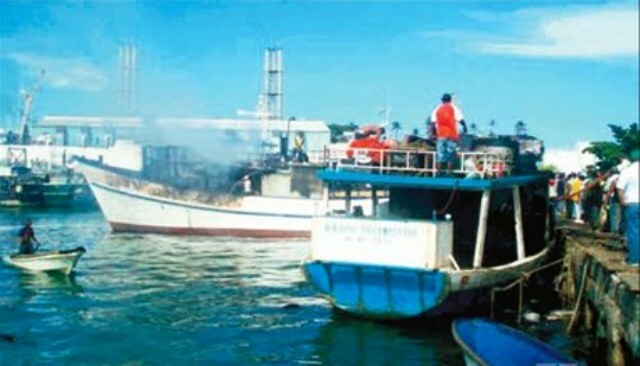 Puerto Plata fishing boats, workplace of the inmates. Santo Domingo.- Foreign minister Miguel Vargas on Monday said that a high-level commission will visit the Bahamas Nov. 26 to sign an extradition agreement for those convicted in that country and return with three of the 127 local fishermen being held there. He said the Dominican Republic is providing support to those fishermen through the country’s embassy in Jamaica, concurrent in the Bahamas, and includes food for the group that he acknowledged is in “precarious” conditions. The official said the Government seeks the release the detainees “as soon as possible,” in addition to negotiating with the Bahamian authorities the supply of medical service for those inmates who need it. Moreover, Vargas told reporters that local geo-locators will be provided to so local fishermen can determine when they’re within international, Dominican or Bahamas territorial waters.